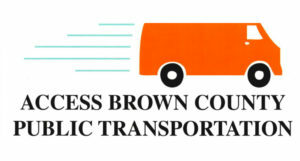 Access Brown County provides low-cost public transportation to Brown County residents. 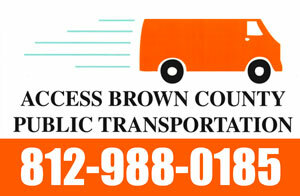 Our bus is wheelchair accessible and operates by appointment Monday – Friday from 6:00 am to 4:00 pm. Any resident may request a ride, children under the age of 5 must be accompanied by an adult. Children age 5 and older may ride alone with a signed Parental Consent Form. Dispatch hours are 7:30 am – 12:30 pm, Monday through Friday 812-988-0185. In case of emergency, please call 812-988-9622. If there are no openings for the time you request, you may be offered an alternate time as close as possible to the time requested. Please make your request as early as possible to improve your chance of getting a ride when you need one. An answering machine is available for requests made outside of office hours.